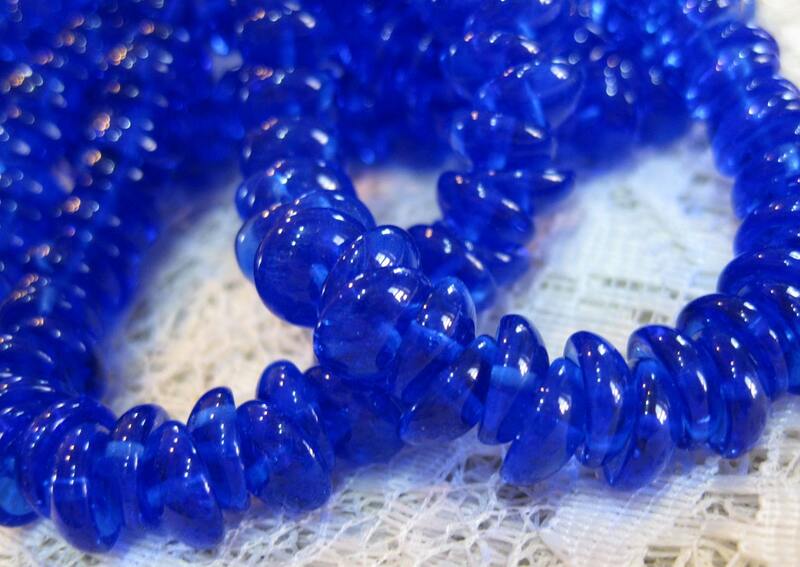 Transparent Sapphire Blue 2 hole concave lentil shaped Czech pressed glass beads! These are called piggy beads because they have a shape similar to a piggy nose. They have two holes - one center hole and one placed closer to the edge - size is 8mm x 4mm. Very unique and loaded with great design possibilities using a two hole bead! You will get 50 beads per strand. Very electric color! !